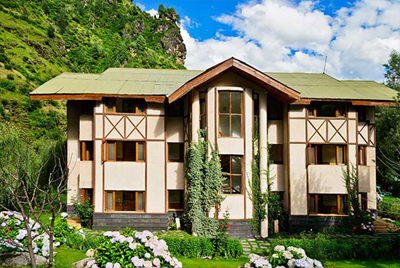 Solang Valley Resort is a 5 star luxury property located in the heart of Manali. 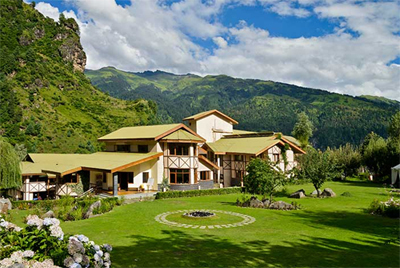 The resort is designed in a very stunning way and offers all necessary services for the convenience of its guests. 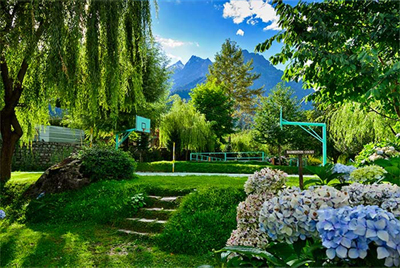 In their free time guests can make use of the indoor sports activities, such as basket ball, snooker and table tennis. A well-maintained gymnasium is available for a work out session to shed extra calories. One can also buy some gift items and handmade crafts from the in-house shopping arcade. 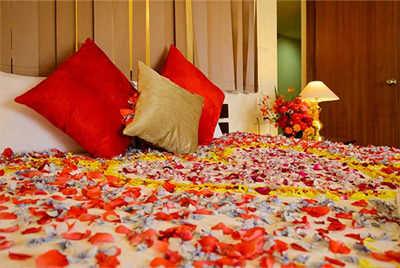 Remain in touch with your near and dear ones while availing the use of free Wi-Fi available all over the premises. 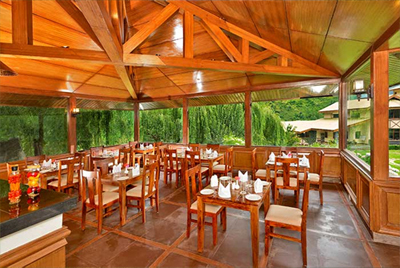 Relish your taste buds with various mouth watering dishes at the on-site restaurant. Guests can also look forward to the well-stocked bar which offers various delectable drinks in exotic flavors. Other services such as, laundry, dry cleaning, travel desk, car parking are also available. 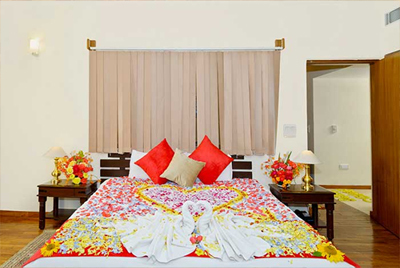 Guests can relax in the well-equipped rooms which exudes a homely ambience. 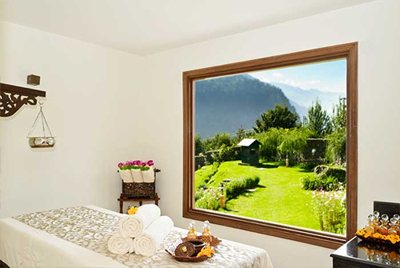 These rooms feature wooden flooring, floor to ceiling windows and impressive interiors. 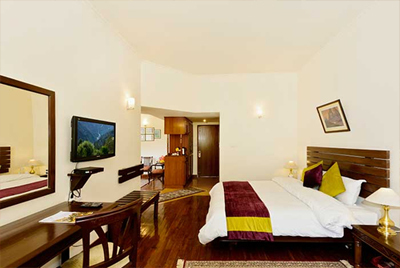 The guest rooms are classified into Super Deluxe Room, Deluxe Valley Block Room, Deluxe River/Glacier Block Room, Maharaja Superior Suite Room and Presidential Suite Room. . En suite bathrooms come with Jacuzzi and essential toiletries.